Killed in action, France, July 1916. Son of W.H. Belcher, Solicitor, of Newbury. 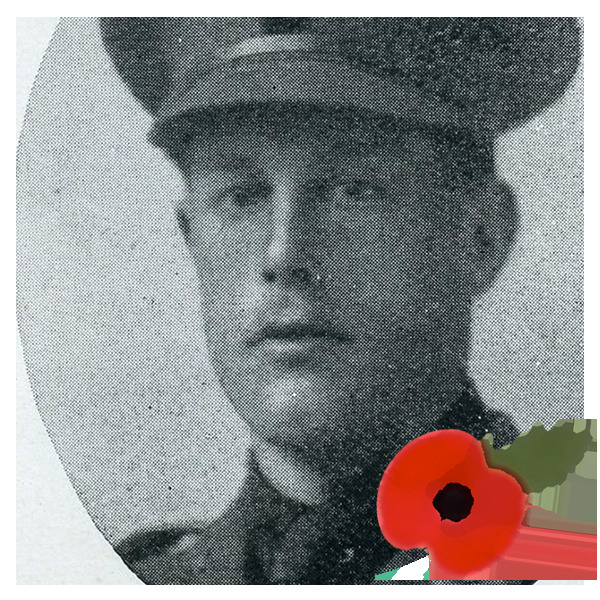 A donation to the memorial statue has been made in honour of this soldier by Tom & Anna Briggs, Maggie J. Briggs (Fe. 2013-18) and John w. briggs (Sc. 2015-20). Basil Belcher was born in 1894 the son of William Henry Belcher, a Newbury solicitor and his wife, Mary. He was educated at Brighton College, where he was a member of the Officer Training Corps. At the outbreak of war Basil and his elder brother, Wilfred, joined the 18th (Service) Battalion, Royal Fusiliers, (1st Public Schools Battalion). This Battalion was formed from ex-public schoolboys, many of whom were persuaded to apply for commissions. The Belcher brothers were two to be chosen and both were commissioned as 2nd Lieutenants in the 3rd Battalion, Royal Berkshire Regiment on 16th May 1915. Two sons of the late Mr W H Belcher, of Newbury, have been gazetted as Second-Lieutenants and appointed to the 3rd Battalion of the Royal Berks Regiment. They have been training for some months at Epsom with the Public Schools Battalion. The 3rd Battalion was the regiment's depot and training battalion - both brothers were transferred to the 2nd Battalion in France in March 1916. On the 1st July 1916 the 2nd Battalion found themselves in a trench near the French town of Albert; at 7.30am three companies of the battalion left the trench to advance on German held positions a few hundred metres away around the little village of Ovillers-la-Boiselle - the Battle of the Somme had begun. At about 7.45am the advancing companies lost their commanding officer when Lt Col Holdsworth was fatally wounded without even leaving the trenches; as his second in command, Maj Sawyer, was also wounded command of the battalion fell on to the shoulders of 2nd Lt Mollet. The 2nd Berkshires were in serious trouble. At 11am the order to standby was finally received from Brigade HQ and the surviving members of the battalion (about 200 men) regrouped in a nearby trench. The Battalion war diary for the day lists 3 officers and 33 men dead; 8 officers and 260 men wounded. The death toll appears far lighter than reality as a further 9 officers, including Basil Belcher, and 118 men are simply reported as missing. On that dreadful day missing almost always meant dead; either cut down by enemy fire or blown apart by shellfire. Mrs W H Belcher, of Newbury, has received a telegram from the War Office, stating that her younger son. 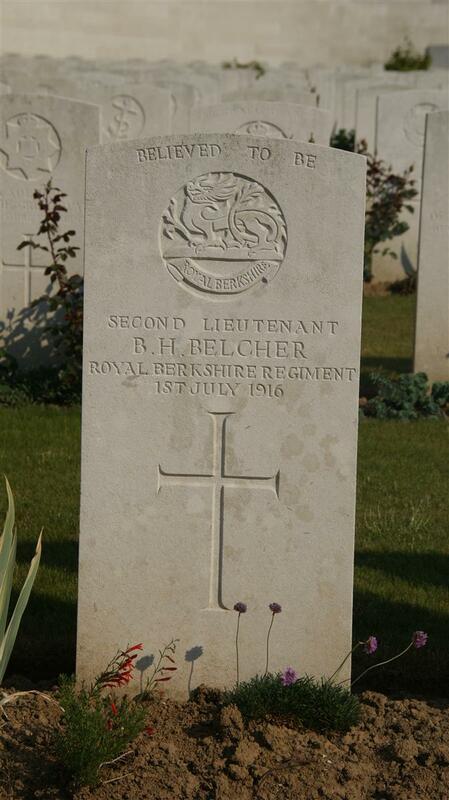 2nd Lieut B H Belcher, Royal Berks Regt, has been reported missing on July 1st. From letters received from her elder son, it is feared that there is very little hope of his being alive. The battalion made an attack on the morning of July 1st, and came under very heavy machine gun fire, and 2nd Lieut B H Belcher was seen to fall just after leading his platoon over the parapet. Basil's family were luckier than many as his body was recovered from the the battlefield, presumably during the post-war clear up. He now lies in the Serre Road No 2 Cemetery (Grave XV. B. 13.). Locally he is remembered on tablet 3 of Newbury's Town War Memorial, on a memorial board and a roll of honour in St Nicolas Church, Newbury, on the Speenhamland Shrine (the parish memorial formerly sited in St Mary's, Speenhamland now in St Nicolas') and on his father's grave in the churchyard of St Mary the Virgin, Speen. 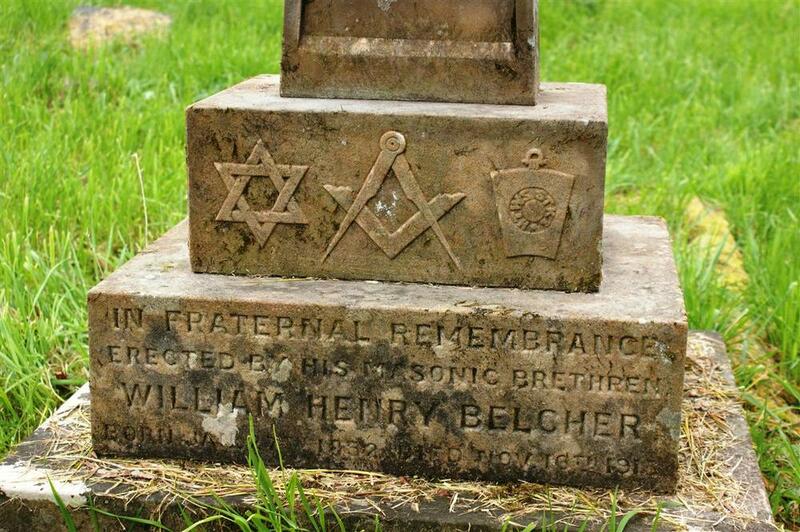 The stone on his father's grave in Speen Churchyard was supplied by the local freemasons, of whom William Belcher was evidently a respected member. It is interesting for the masonic symbols decorating it. His brother Wilfred survived the war, rising to the rank of Captain and winning an MC. In 1922 he was ordained and was incumbent of several parishes in both England and South Africa. He spent five years as Bishop of North Queensland in Australia before finally settling back in England as Rector of Ovington in Hampshire. He died in 1963. 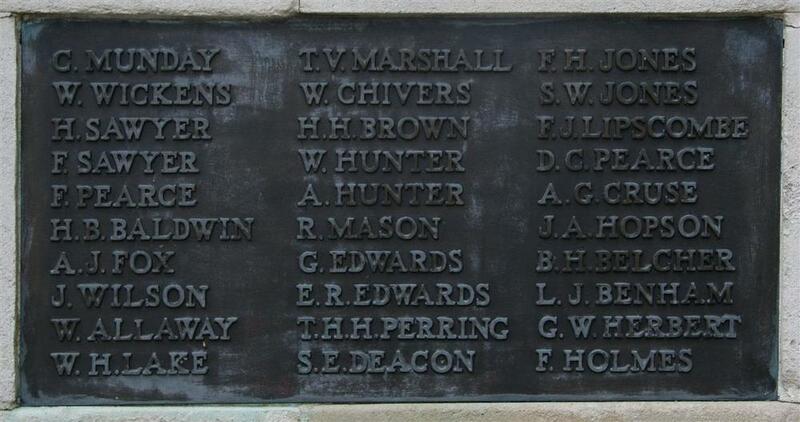 Basil's cousins, the brothers, Harold Thomas, Raymond Douglas and Gordon Belcher, sons of the Vicar of Bramley, and past Head Master of Brighton College, were more victims of the war. Lt Col H T Belcher, DSO, Royal Field Artillery was killed on 8 July 1917; Maj R D Belcher, DSO, MC, Royal Field Artillery was killed on 7 December 1917; and Capt G Belcher, MC, Royal Berkshire Regiment was killed in May 1915.